Even in the best pathology laboratory, pre-analytical error can result in shocking outcomes. We present here data of such errors found in samples sent for coagulation tests. Result showed that usually tubes were not being filled properly. Patients presenting with abnormal bleeding episodes pose a real challange for physicians, and Haematologist can help them by focussed history, examination, and laboratory tests. A young boy presented with bone pains, and peripheral morphology showed activated lymphocytes. The clinician suspected acute leukaemia, and asked the haematologist to perform a bone marrow aspiration. That turned out to be A.L.L..
A young boy presented with diarrhea and fever for 6 months. He had hepatosplenomegaly and delayed milestones. 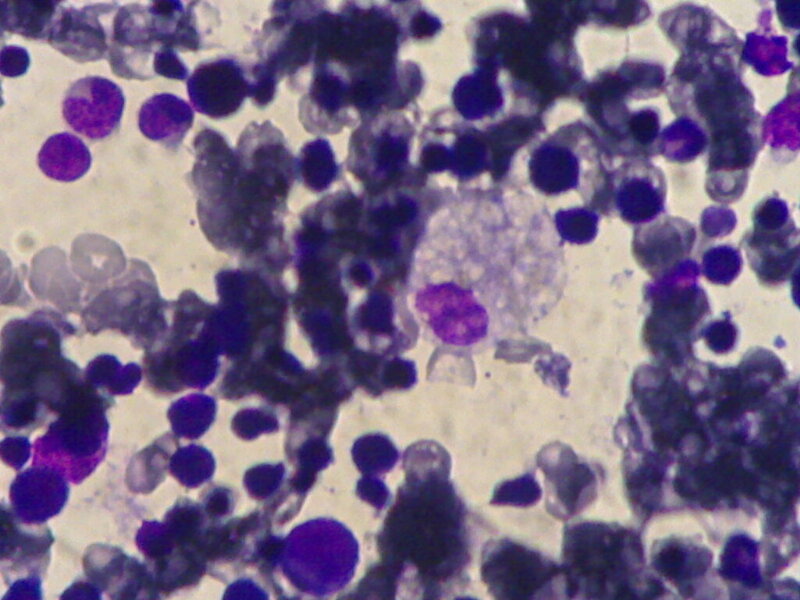 Bone marrow aspiration resuts showed Niemann-Pick disease. Research synopsis when sent to CPSP is usually returned with objection of the sample size not calculated by W.H.O. sample size calculator. Here we present the formula.